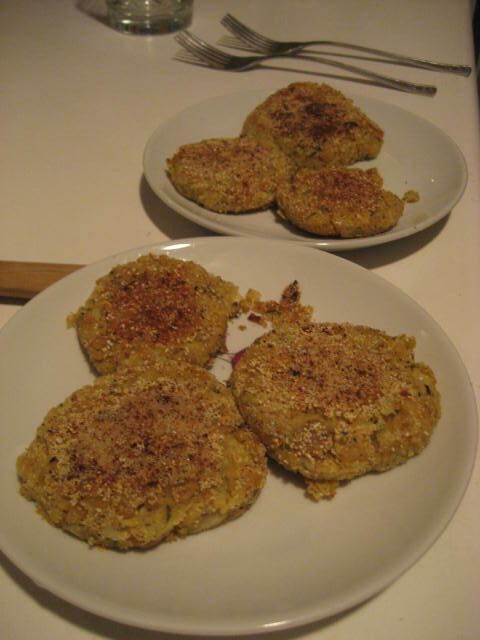 These savory fritters can be made small and served as an appetizer or made large and served as a main course. Either way, they are crispy and delicious. 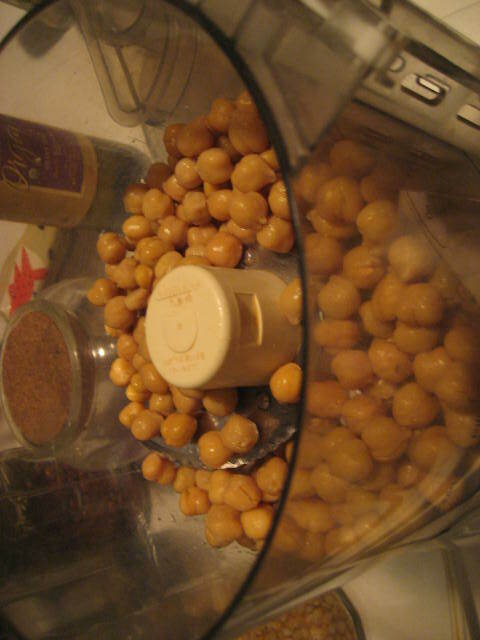 Combine chickpeas, artichoke hearts, garlic, garbanzo bean flour, and spices in a food processor and pulse until just combined, leaving plenty of texture. Form the mixture into balls, about the size of golf balls. Refrigerate for at least 15 minutes. Heat olive oil over medium high heat in a nonstick pan. 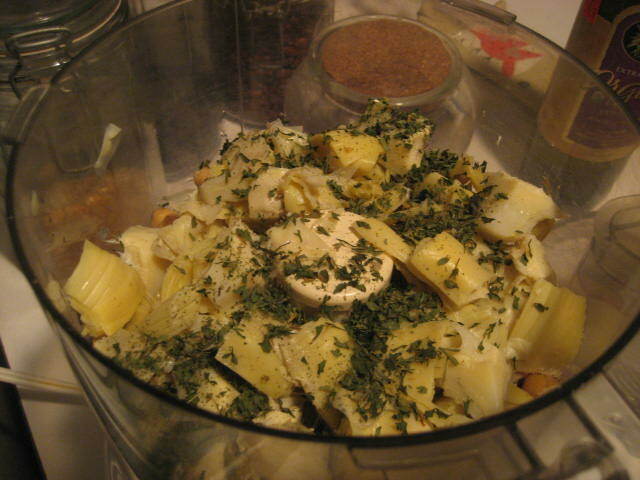 Gently flatten artichoke balls in into discs in your palm and add to pan. Cook over medium high heat until crisp and brown. Flip and cook other side until crisp and brown, adding additional olive oil if necessary. This entry was posted in appetizers, gluten free, main dishes, vegan and tagged artichokes, chickpeas. Bookmark the permalink.